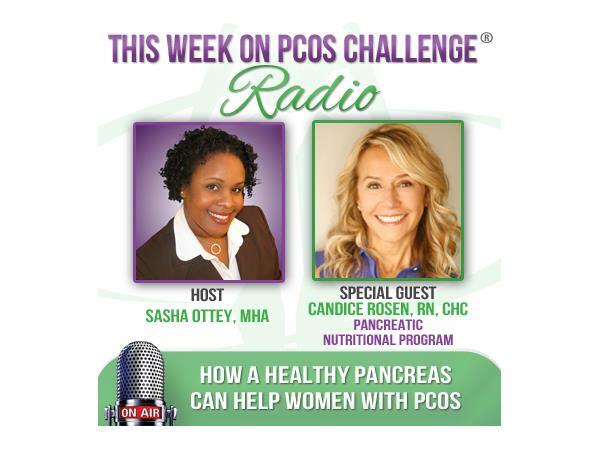 Registered Nurse and Health Coach, Candice Rosen, joins Sasha Ottey on the PCOS Challenge radio show to speak about how to get relief from PCOS by improving the health of your pancreas. Candice is the creator of the Pancreatic Nutritional Program and the author of The Pancreatic Oath, a book for health conscious people searching for improved wellness and weight loss through diet and blood glucose regulation. Join PCOS Challenge and other women in the fight against Polycystic Ovary Syndrome at PCOSChallenge.com.